Biz Bash 2010 Style Awards | Sweet Deal's Blog! The Biz Bash 2010 LA Event Style Awards are coming up this spring! We were so proud to be a part of two of the winning 2009 categories. 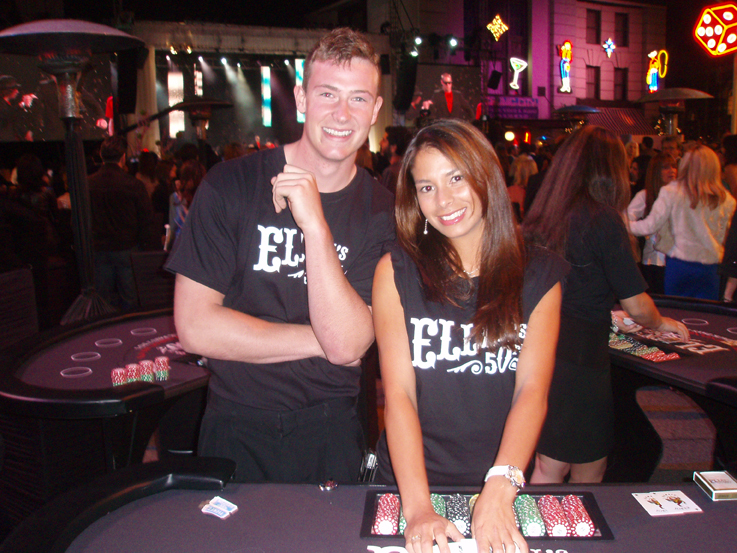 Our Sweet Deal casino dealers added some sweetness to the Red Carpet and entertained some celebrities for the casino at Ellen Degeneres’ 50th Birthday Party, which won Best Corporate Event Concept and Best Entertainment Program/Concept. Ellen’s party was hosted by Warner Brothers and celebrated not only her birthday but also her move from NBC to Warner Brothers. The theme was vintage carnival and included talent ranging from our very own beautiful casino dealers, a dance crew performing on the interactive dance floor, to Ryan Seacrest flying in on helicopter to host. With the 2010 Biz Bash submissions due April 9th, we have to wonder who will top last years amazing events and take home this years awards. Take a peek at our photos from Ellen’s 50th birthday bash here! This entry was posted on March 22, 2010 at 11:15 am and is filed under Casino, Event Planning, Special Events, Uncategorized. You can follow any responses to this entry through the RSS 2.0 feed. You can leave a response, or trackback from your own site.